Will be a near-production model. Last week it was speculated that Audi will debut the first ever Audi RS Q5 at the 2017 Geneva Motor Show. According to a new report from Autocar, that is not the only Audi RS model to debut at the Swiss expo, as the company is also bringing the Audi RS Q8 concept there. The Audi Q8 series will be underpinned by the MLB-Evo platform. 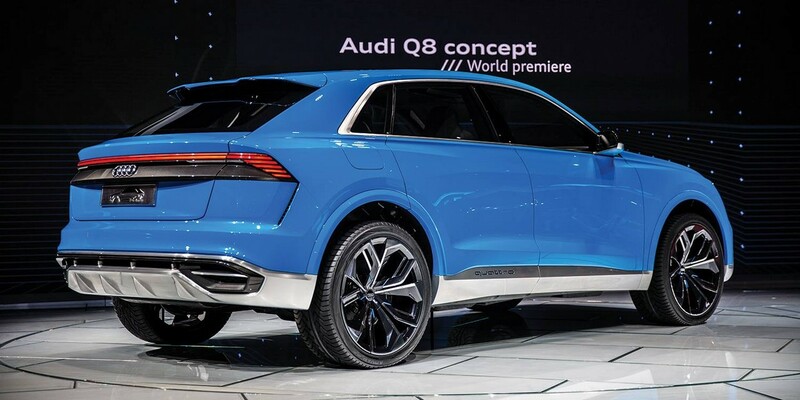 Audi Q8 concept pictured. 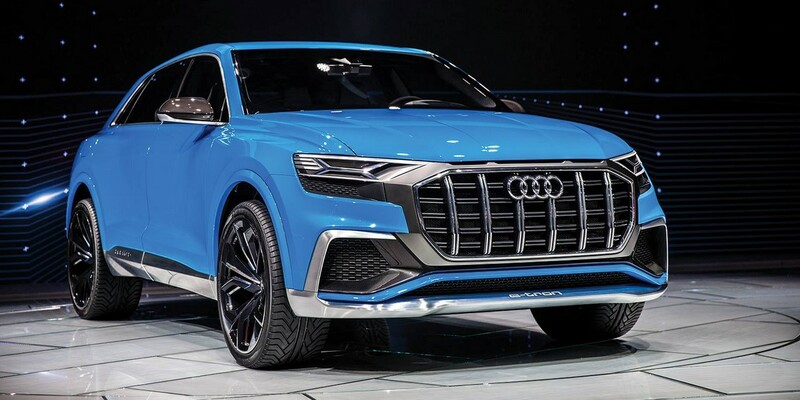 The Audi RS Q8 concept is a follow-up to the Audi Q8 concept that was introduced at the 2017 North American International Auto Show last month. The Audi RS Q8 concept will be a near-production vehicle with lowered suspension and unique exterior and interior styling. Announcing the Q8 concept in December 2016, Audi had stated that the new full-size SUV concept features the next generation of Audi SUV design language. The RS Q8 concept additionally may showcase the new signature RS styling modifications that could be featured on other future Audi RS models. While the Audi Q8 concept packs a newly developed 330 kW (333 PS) plug-in hybrid powertrain, internal sources have hinted that the Audi RS Q8 concept will sport a modified version of the company's 4.0-litre twin turbocharged V8 engine which is already used in performance Audi models. This engine would be linked to an 8-speed automatic transmission, with power being distributed between all four wheels via the Quattro all-wheel drive system. Company officials hint an under 5.0-second 0-100 km/h acceleration time and a 186 mph+ (299.34 km/h) top speed for this concept SUV. The Audi RS Q8 will be powered by a 4.0-litre twin-turbo V8 engine. Audi has confirmed that the Audi Q8 concept's production version will be launched in 2018 and that the concept is a near-production model. The Audi RS Q8 concept to be shown in Geneva next month will also be a near-production model, and it should follow the standard variant months after.